According to Vastu Shastra, the environment has a tangible effect on your quality of life. Decorating choices such as paintings, wall colour, style of furniture, furniture arrangement, and objects will either support your comfort or cause discomfort which produces stress. When a room is comfortable with harmony colours it helps you to relax, lessening stress. Energy flow in your home or office affects your quality of life. When a good layout is aligned with correct vastu the result is an environment which appeals to all five senses and feels inviting. Energy is the underlying principle of vastu. Even though we don’t see it we know it’s working. Remember, we can’t see gravity but we feel its effects! You can program anything you create in your reality. Since the first stage of all creation is mental, the thing which you create carries the energies of your thoughts when it was constructed. Just like you can program your subconscious mind, you can also program anything that you want to influence. Colours, Images and objects are powerful activators used in vastu to enhance the energy of premises as well as curing the vastu defects. Colour surrounds us and each hue of colour gives off subtle vibrations. If you walk into natural surroundings, you most often feel at peace because there is a balance of colours. However, when you walk into a dark lobby, you feel scared and alone because there is an absence of colour. Negative energy can be cut off by the use of appropriate colour. Have you walked into someone’s house which is decorated in yellow and felt more relaxed and peaceful than a house painted in grey or maroon colours? The theories of colour vibrations provide an explanation: colours affect your moods, personality, feelings and your physical energy. Every colour in the rainbow radiates a different vibration or wavelength. Some colours vibrate very slowly and other vibrate very quickly. 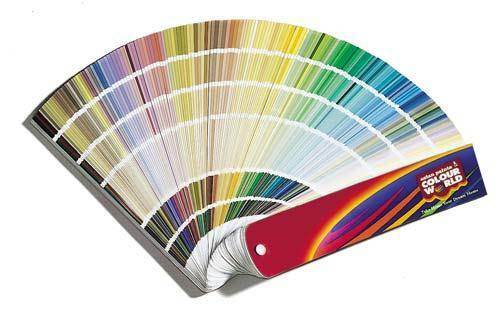 Using proper colour in proper direction can be used to effect changes in our own premises. Interestingly, natural light (which includes the seven colours of the spectrum) is required by humans for our cells to function and grow normally. When exposed to different colour vibrations, humans are known to experience changes in their mental, emotional, and physical state. Vastu is all about energy and vibrations.